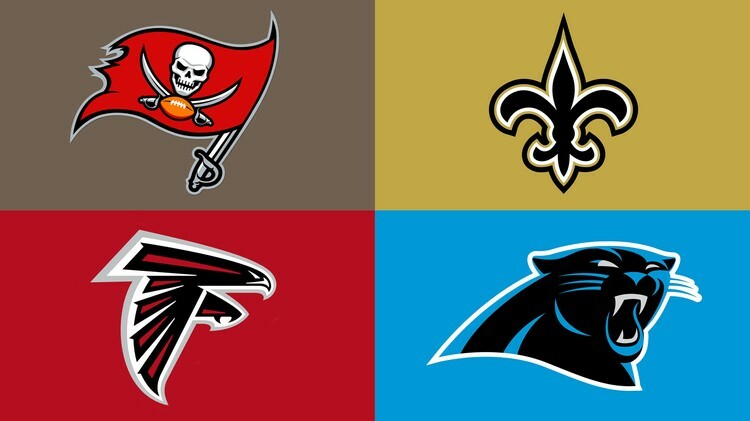 By record, the NFC South was the worst division in football a year ago. They did not have a team with a winning record, and the Carolina Panthers won the division with a 7-8-1 record, giving them two straight division titles. This season, the teams look to rebound, and could have three teams fighting for a playoff spot. While most of the hype has been about the Tampa Bay Buccaneers and their #1 overall pick QB Jameis Winston, the rest of the division has quietly made improvements that may make this the toughest division in the NFL this season. A few seasons ago, the Falcons were a few minutes away from a Superbowl berth. Since that loss to the 49ers, they have had two miserable, sub-.500 seasons. Star QB Matt Ryan is still at the helm, and that is why this is a team that always has a shot to be competitive. While they did not make much of a splash in free agency, especially on the offensive end, they have enough young talent that should have matured a bunch over the last few seasons to make them noticeably better this season. The Falcons’ young, improving offensive line should give Ryan more time, as well as get the ground game going again after a few down years. Atlanta’s first round pick OLB Vic Beasley should give them an immediate benefit in the pass rush, an area they sorely lacked the past few seasons. Their second pick this year, CB Jalen Collins of LSU, will be added to a young, talented mix of players in the secondary. As long as their young talent progresses throughout the season, along with a weak schedule, the Falcons could be the team to beat, not just in the South, but in the entire NFC. The big news the New Orleans Saints made this offseason was when they sent All-Pro TE Jimmy Graham to the Seattle Seahawks in return for C Max Unger. Unger will now be the anchor for the Saints offensive line, helping protect superstar QB Drew Brees. Many critics claim Brees is on the decline, but rest assured he will do some big things this season trying to prove those critics wrong. While most of the Saints’ struggles during the Drew Brees/Sean Peyton era have been on defense, last season the offense took a step backward. They hope to reverse this trend with the pickup of speedy, but often-injured RB CJ Spiller and rookie first round pick OT Andrus Peat. On the defensive end, they signed DE Anthony spencer to help out up front, and CB Brandon Browner, who has won the last two Superbowls, to help in the secondary. With these additions the Saints should have a much better season this year, and I expect them to compete for the AFC South crown. The Carolina Panthers won the NFC South last season with a 7-8-1 record. The division had a down year, and Carolina took advantage. What if I told you they would have a better record this season but miss the playoffs completely? That could certainly be the case this season. The Panthers have had a dominating defense for a few years now behind All-Pro LB Luke Kuechly, but the offense has not been able to catch up. So much of this team’s success depends on the progression of QB Cam Newton, who will be without his favorite target from a year ago, second year WR Kelvin Benjamin, who will likely miss the entire season due to injury. With the Benjamin injury, the Panthers are hoping somebody can fill the void at wide receiver and be a reliable option. Ted Ginn Jr. has yet to prove he can be that man, so they are hoping for production from rookie WR Devin Funchess, their second round pick. TE Greg Olsen, Newton’s other favorite target, returns this year, and they added TE Ed Dickson, who could contribute. But none of these guys can make up Benjamin’s production. And without any major upgrades on the defensive side, this could be a down year for Carolina. The Tampa Bay Buccaneers have had an exciting offseason. They got potentially the best player in this past draft, in #1 pick QB Jameis Winston. They also made picks to solidify the offensive line that will protect him, drafting OT Donovan Smith, and OG Ali Marpet in the second round. Winston also has some weapons. WR Vincent Jackson returns, along with their first pick from last year, WR Mike Evans. If RB Doug Martin can stay healthy this offense could surprise a few people. The Bucs were not a bad defensive team last season, and may be slightly improved this year. The addition of CB Sterling Moore and S Chris Conte, they should be tougher against the pass this season. If they can get any progression from Winston during the season, this 4-12 prediction could be way off. But I see Winston, who led the nation in interceptions thrown last season in Florida State, struggling mightily in his first season. If he struggles, the Bucs could be picking first again next season. This entry was posted in Opinion, Sports and tagged 49ers, Ali Marpet, Andrus Peat, Anthony Spencer, Atlanta Falcons, Brandon Browner, Cam Newton, Carolina Panthers, Chris Conte, CJ Spiller, Devin Funchess, Donovan Smith, Doug Martin, Drew Brees, Ed Dickson, Florida State, Greg Olsen, Jalen Collins, Jameis Winston, Jimmy Graham, Kelvin Benjamin, LSU, Luke Kuechly, Matt Ryan, Max Unger, Mike Evans, New Orleans Saints, NFC South, NFL, Sean Peyton, Seattle Seahawks, sports, Sterling Moore, Superbowl, Tampa Bay Buccaneers, Ted Ginn Jr., Vic Beasley, Vincent Jackson. Bookmark the permalink. ← What is Wrong With Our Map? I would love that. My dream job growing up was the Boston Globe, but I would take any sports journalism related job. Robbie that’s the west, not the south. The NFC west will be later this week.